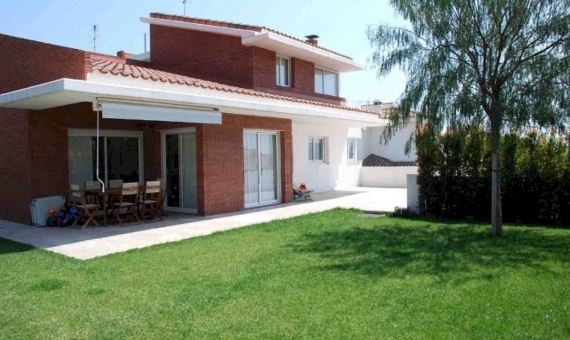 Great villa for sale in urbanization Can Teixido, Alella. House is about 530 m2 and in perfect state. Large, bright living room with fireplace, a kitchen fully equipped with a barbecue. All rooms are double, with fitted wardrobes, two of them are suites with private dressing room and bathroom. Additional spaces include a library, office, service room, engine room, pantry, dressing room with its own bathroom, cellar. 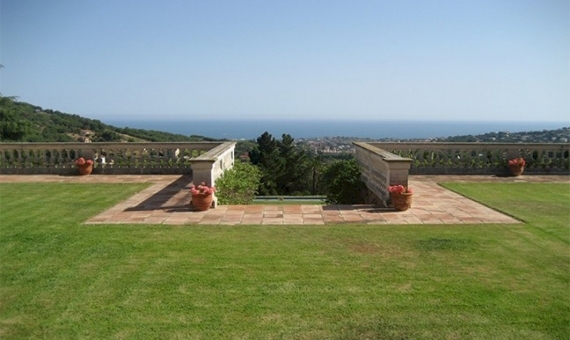 A large sun terrace overlooking the sea. Great swimming pool and beautiful illuminated garden of 1650 m2. Natural gas heating, air conditioning, alarm. Garage for 3 cars. Large game room with access to the terrace and garden. Year of construction 2000. Private and very secure urbanization with concierge, own sports area, tennis courts, barbecue areas, 24-hour security. Also for rent: 3500 euros per month.